Panel lights commercial grade for commercial lighting. Now there is flat panel lights and there is Eco Industrial Supplies Panel Lights Commercial Grade for offices, retail shops and commercial buildings. 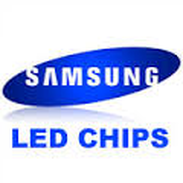 When we manufacture your lights we source high bin grade LED Samsung chips which have a finer colour temperature variance than standard grade LED chips and most panel lights on the market. This means every panel light will appear the same colour and decay less over time compared to a standard LED chip panel light. Our Eagle Eye LED Panel Lights are illuminated with high quality Samsung 5630 LED chips. The output lumen levels are over 35% greater than most panel lights in the market place. Savings in power consumption by choosing the Eagle Eye range of Panel Lights makes we at Eco Industrial Supplies market leaders in commercial lighting. With no Ultraviolet or Infrared emissions your stock will retain its bright packaging colours. Eagle Eye Panel Lights Commercial Grade are the best choice for your office lighting, designer lighting, shop lighting, due to the their specially developed anti glare diffusion. The diffused light reduces shadows allowing for evenly projected lighting. Long life reduces maintenance & service costs. Replace Older technology fluorescent tube lighting with our super energy efficient Eagle Eye Panel Lights Commercial Grade. Energy savings of around 70% while improving the quality of light. Large replacement programs and installers will benefit from batch consistency with our high bin grade LED chips and quality long lasting drivers. Your eyes and staff will thank you. Minimize worker fatigue, eye strain and headaches. No Ultra Violet or Infra Red emissions will greatly improve office efficiency. A well lit office improves worker efficiency, moral and well being. Reg gives the Eagle Eye Panel Lights Commercial Grade the thumbs up 5 star award for design, components and efficiency. Easy install LED troffer for false ceilings. "We get a little excited about our Panel Lights Commercial Grade"
We offer a 3 year warranty on our LED troffer lights. 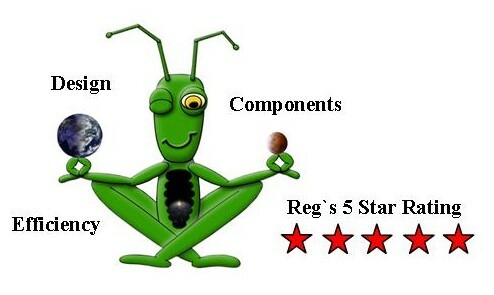 Compliant to world wide standard approvals with the certification you need. With an expected +50,000 hours of use you cant go past our quality panel lights for commercial lighting. Click on the Panel Lights Commercial Grade below to buy or find out more.